Minimum quantity lubricant milling (MLQM) with nanofluids is one of the main processing methods used in sustainable green manufacturing. Nanoparticles can drastically enhance the heat transfer ability of metalworking fluids. Thus, nanofluids modified with different nanoparticles have important applications as milling coolants. Nevertheless, few studies have investigated the influence of different nanoparticles on the cooling mechanisms of nanofluids. An experimental study was conducted to explore the cooling performances of different nanofluids in the MQLM of Ti–6Al–4V. Cottonseed oil was used as the nanofluid base and was modified with six different nanoparticles at the mass ratio of 1.5%. Cooling performance was evaluated with several milling parameters, including milling force, instantaneous temperature, and surface roughness, which was represented as the arithmetic average height (Ra) of the workpiece surface. The microtopography of the final milled samples was also examined. Results demonstrated that the mean of the milling force peak in the X direction under milling with SiO2 nanofluid was 436 N, which was lower than that under milling with MoS2 nanofluid (445.5 N). The lowest milling temperature was obtained with SiO2 nanofluid. This result indicated that SiO2 nanoparticles had the strongest cooling capacity. Workpiece temperature rapidly decreased to a low value under milling with SiO2 and Al2O3 nanofluids. The most drastic temperature drop was observed in MQLM with SiO2 nanofluid, followed by that in MQLM with Al2O3 nanofluid. The lowest Ra value was obtained under milling with Al2O3 nanofluid (0.59 μm), followed by that obtained under milling with SiO2 nanofluid (0.61 μm). The Ra value acquired under milling with Al2O3 nanofluid was 66.7% lower than that of acquired under milling with pure cottonseed oil. Given that Al2O3 and SiO2 nanoparticles demonstrated the best cooling performance, they are highly suitable as additives for the base oil. 1. 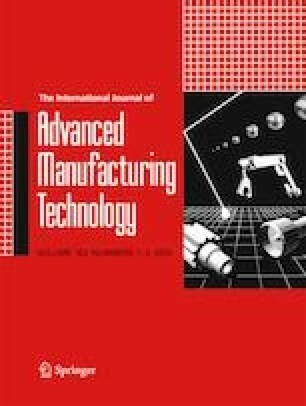 Cooling performance of Ti–6Al–4V in minimal quantities lubricant milling under different lubricating conditions was studied. 2. The cooling capacity of SiO2 nanoparticles was the strongest among these nanoparticles. 3. The temperature of SiO2 and Al2O3 nanometer fluid milling workpiece cannot only decrease rapidly but also falls to a relatively low point. 4. Al2O3 and SiO2 nanoparticles can achieve a better surface roughness value. This research was financially supported by the National Natural Science Foundation of China (51806112 and 51575290), Scientific Research Development Project of Shandong Higher Education Institutions, China (J17KB016 and J18KA017), Key Technology Project of Qingdao Binhai University (2017KZ013), and Shandong Provincial Natural Science Foundation, China (ZR2017PEE002 and ZR2017PEE011).